In One-Day Trip to the Historical City of Agra. you can visit main tourist places of the city. We are discussing about the places should visit in your one day Agra trip. Agra, a greatly loved tourist place is one of the favourite weekend destinations of the people of Delhi. There are a lot of beauties to watch in the city which remained the capital of the Mughal Empire, during the reign of Akbar, Jahangir and Shah Jahan. Since it is close to the National Capital (around 180 km away), it is not impossible to undertake a one day road trip to the city and get to witness the major, if not all, the attractions that the city boasts of. Also one should not forget the savour the taste of the Petha and other famous culinary delights during the journey. Taj Mahal: It is meaningless if a traveller comes to Agra and does not pay a visit to this epitome of unfathomable love and which has also earned the city its title - “the City of Love”. Yes, the white marble mausoleum, intricately carved indoors and enclosed by four minarets is architecturally and emotionally wonderful. Lying along banks of river Yamuna, overlooking an artificial pool and a beautiful garden, the motifs and precious gems in the walls of the building and the cenotaph of Mumtaj Mahal, who inspired the one among the seven wonders, invites awe from the tourists. 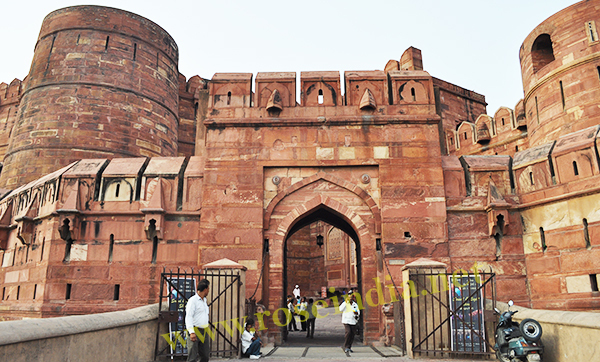 Agra Fort: The fort, sometimes referred to as the Lal Qila in Agra because of the red colour of its sandstone walls, is another amazing development of the Mughal art. The 70 feet-walled fort was originally built under Akbar, but many new constructions were added within the boundaries of the fort by his successors. It is said that the fortified structure, alongside Yamuna, had beautifully decorated 5000 buildings, out of which hardly 30 exist. The Moti Masjid, Nagina Masjid, Mina Masjid, Diwan-e-Aam, Diwan-e-Khaas, Shish Mahal, Bengali Mahal are some of the significant buildings inside the fort. 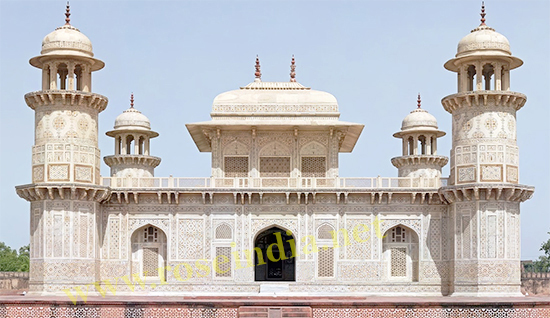 Itmad-Ud-Daulah: Built in commemoration of Noor Jahan's father (also Jahangir's Chief Minister) Ghiyas Beg, it is a remarkable example of brilliant architecture of the Mughals. Nicknamed 'Baby Taj', the structure has intricately carved Jalis or window screens and fabulous inlay work has semi-precious stones encrusted in the walls. Four minarets rise from four corners of the mausoleum and the Chhatris or small canopies have been designed instead of proper domes that suggest Indian influence, while the octagonal shape of towers and entrance with arch give Persian impressions. 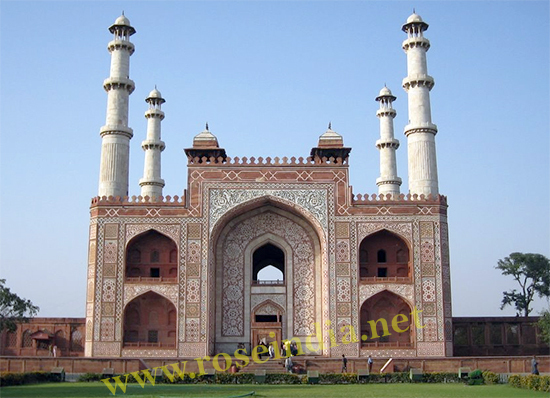 Sikandra Tomb: The Sikandara Tomb is another place of tourist interest that you must visit during your one day trip to Agra city. Sikandara Tomb is the mausoleum of Emperor Akbar and a place of tourist interest due to its architectural building. 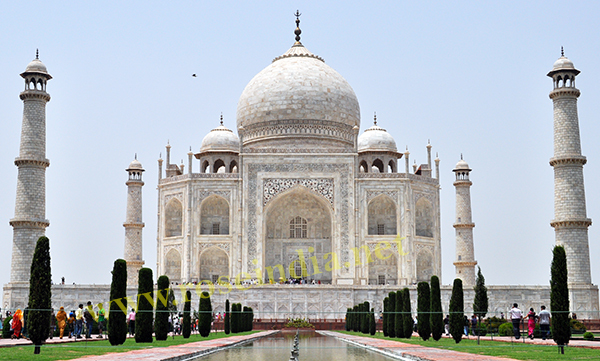 Check details at Agra tour packages for one day.